“The mood in the stadium is below ground level. It seems that both teams are satisfied with the draw and lazily push the ball back and forth. Time for something to happen. You wait for the right moment and when the guards are distracted you rip off your clothes and storm the field. Immediately the fans are wide awake. At the center circle you cartwheel and show the star of the opposing team your bare backside. The fans howl. The player of the streaker has to spend six rounds evading the security guards, relying on his speed. 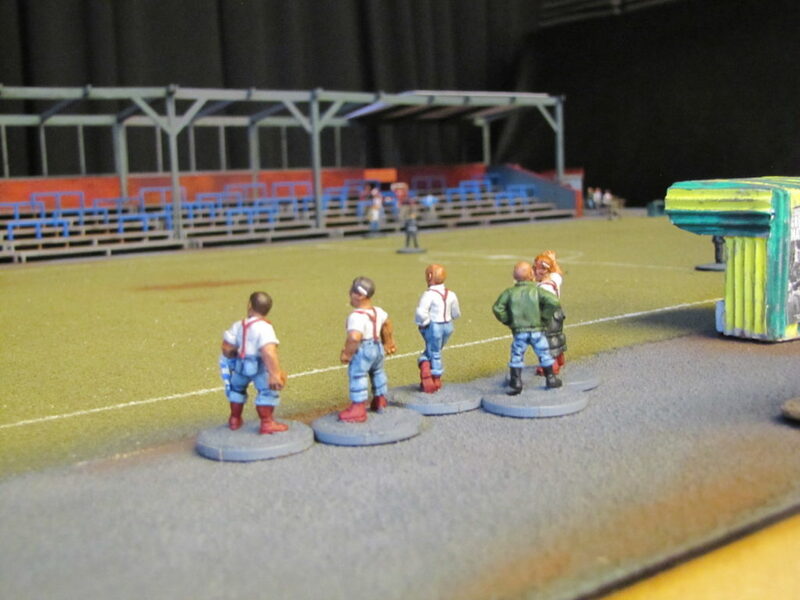 Meanwhile, the player of the Security forces gets more and more reinforcements to catch the streaker. By playing cards, the players can influence the events and so possibly turn hopeless situations in their favor.